"A warm and welcoming safe space for people to explore as far as they wanted"
"Imaginative, thought provoking, enabling”they were willing. A gentle and restorative day." These are aimed at organisations looking to craft stories of social impact which enable listeners to imagine what they hear as real and connect to both teller and story. To expand participants' understanding of the prevalence and accessibility of stories of their own or those of service users. At the end of the workshop we would like to have a handful of stories that might be worked on further for use in communications/fundraising and for all participants to feel more confident in using biographical stories to demonstrate impact. This workshop would support participants to identify memories, which are powerful to them and have the potential to communicate social impact and to craft them for telling. As well as providing structure and experience in crafting the content of the story, this workshop would include a little on performance techniques to help people create the connection with the audience and take them on the journey. Everyone would have the chance to tell their story and receive some feedback from us. Follow-up support can be provided to further craft good stories identified during the workshop if needed. "We are a service that works with lots of homeless and formerly homeless young people. Many of these young people are vulnerable and display challenging behaviour. The language of supported housing is one of risk assessments, needs assessments and asking people questions about their 'problems'. We found this approach to be alienating for our 'service users' and to some extent for staff. Following the workshop with Sue and Hannah, our staff now think in terms of resident stories. This allows us to gain a much better understanding of our service users - is a more human approach, creates better rapport, and leads to staff being more understanding about what past events are still influencing each individuals behaviour. We have found this approach to be far more engaging for all concerned and it has played a large part in our service becoming a much more positive environment. We also supported our residents to tell their stories publicly as part of a campaign against cuts to our funding. Four of our residents told their stories at a council budget meeting at which proposed funding cuts were announced. This had a devastating effect and brought an embarrassed silence to a chamber that had been loud with the sound of political posturing. Our funding was cut, but contrary to initial plans we did receive some additional funding for a further two years and I have no doubt that the personal stories told by our residents played a huge part in that decision." Telling stories from our own lives invites us to look at our past and consider what is worth passing on to the future and what we have learnt. Story can be powerful agent for change and transformation – when people / society re – write their life script (or parts of it) real change occurs. We have a duty of care and to make a real difference in our clients and patients lives, to achieve this we need a holistic approach that see’s the individual as a whole person rather than a collection of symptoms. We believe you can improve your efficacy by gaining a richer understanding of the power of story and metaphor. This workshop helps you to understand individual’s stories and their use of metaphor and personal narrative. It is an experiential workshop where you will tell and listen to your own and other stories as a way of identifying and using a client’s own metaphors to increase rapport. Explore how stories shape consciousness and help you identify the stories that have influenced your life from childhood to the present – see if those stories still work for you and help you find ways to affirm or re-frame them and create a new story that will enable you / the client to make lasting changes now or in the future. Storytelling is one of the most powerful ways of creating empathy, raise funds, and connect people to an organisation's mission. Telling stories about the work you do, your impact and the personal stories about yourselves as leaders that remind you and others why you do the work that you do. I help you to craft your personal stories –those stories of success and/or failure, of triumph and/or despair. A well crafted story with an emotional core will connect more with those you are wanting to influence. What sort of stories can you tell? 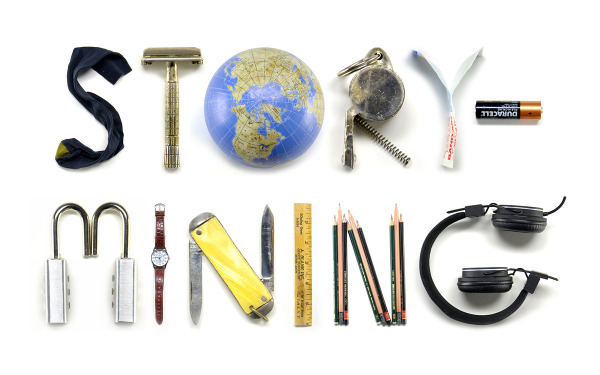 An effective story structure creates: context, relevance, engagement, understanding, empathy, meaning, memory and recall. I help you to craft your personal stories –those stories of success and/or failure, of triumph and/or despair. A well crafted story with an emotional core will connect more with those you are wanting to influence. Bring stories alive through the oldest of traditions - oral storytelling.Stories have been passed on by word of mouth as a means of communicating news,beliefs and values as well as sharing what it is to be a human. Come and work with a folk tale and by the end of the day you will be able to remember it, give it colour and gesture creating your own unique interpretation. The quality and depth of these old stories allows them to open up discussion. It is a fun and interactive day for all. If you are going through changes in your life then this workshop will help you to get a better understanding of what those changes might mean and how you can deal with those transitions in a healthy way by writing a new “story” – the way forward for your life; in effect a new ‘pattern’ to follow. In mid-life / retirement we realise we have less time ahead of us than we have already lived and we start to ask the big questions about our lives and what it all means. It can be a time of upheaval and confusion. This workshop explores the middle years' transition in our life’s journey and how we can become a carrier of better stories that provide our lives with more meaning during this period and into our later years. We use story, imagination and look at our pasts, through the present and into the future, gaining insights and understanding along the way. The subject areas where this approach is especially useful for include, history, sociology, psychology, human geography, politics, english, economics, and citizenship. This approach encourages learners to actively participate in imagining the reality of the story and then compare it with realities they live and observe. In this way it enables learners to connect with what they believe and hope for and strengthens their sense of self and leadership. These are aimed at students who are about to enter the workplace or move on to university. They are delivered on site at schools or colleges. Some A level courses, the vast majority of undergraduate degrees and many job interviews require the presentation of work in front of an audience. This is a skill for which students are seldom prepared and which often causes anxiety. Within all of these presentation contexts the ability to integrate a storyline is critical in communicating both who the presenter is (trustworthy, experienced, knowledgeable, reflective, self aware) and what they know or have experienced. The first job of this workshop is the enable students to craft a presentation with an integrated storyline and engaging content. But quality content is only part of what’s needed. Effective presentation also requires the insightful use of body language and voice. The second job of this workshop is to support students to become more aware of how to use their voices and bodies to communicate effectively and develop connection with their audience. By using a myth as an extended metaphor it distances people from difficult direct questions allowing them to be open to the imagination of the story and so answer those personal questions from a different perspective - identifying or not with the characters of the story. For example when working with a group from the refugee community to ask questions about loneliness and isolation we used the native American story - Jumping Mouse who goes on a long journey and finds difficulties along the way. We would tell the story and stop at relevant points to ask the participants questions such as: how would you think Jumping Mouse feels at the moment and why - have you every experienced anything similar - tell us about that. We then open up to structured conversations where people hear their own and others' stories. This is really useful with support groups or for research.The key is to find the right story for a specific group which can unlock the underlying issues that the group is facing.